ST. LOUIS, Mo. 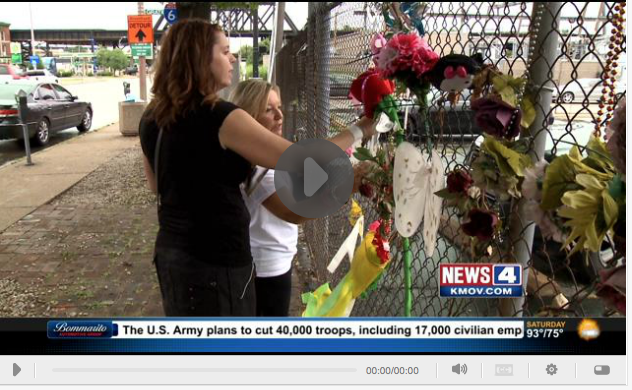 (KMOV.com) – The family of a hit-and-run victim are asking for change after their loved one was struck and killed last month outside the Broadway Oyster Bar. Check out who has been charged with crimes in the St. Louis area. Bapi Gupta was fatally struck by two separate cars in the early morning hours of June 28. His family said he suffered severe brain damage and was taken off life support a week after the accident. Gupta’s mother, Genie Dee, and Georgie Busch, who lost her daughter, Amber Wood, in a hit-and-run accident in the same location in 2012, are hoping to bring change to the stretch of roadway. The string of fatalities and near misses has many calling for slower traffic in the area. “Why is it 35 miles an hour here? Why isn’t there a stop light up the street here, which they took down, by the way,” said Michael Chekoudjian, the driving force behind a change.org petition asking for changes to the area. Chekoudjian’s petition, which is asking for a reduced speed limit, has garnered almost 1,500 supporters. “We’d like to see the speed limit brought down to 25 miles an hour,” Chekoudjian said. In the meantime, the mothers are hoping their loss is a wake-up call. Alderman Jack Coatar said he is working with the city streets and treasures office to implement some changes but has no date for when they will take place. Click here to view the change.org petition.